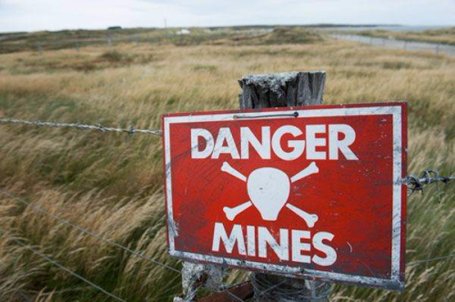 The detection and removal of landmines and other unexploded ordnance in current and former conflict zones is a major humanitarian task that can be leveraged by the use of technology to address the complexities and difficulties in correctly identifying mines. Typically more than 99% of a deminer's time is spent identifying and removing inert underground clutter. 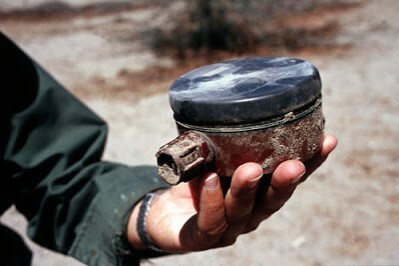 Sophisticated identification and imaging of underground objects (whether they be landmines or junk; either plastic or metal) can reduce this wasted time and mitigate the physical danger to the deminer. 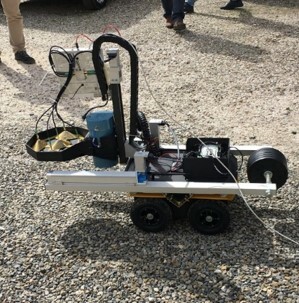 This demining technology comes in multiple forms and needs to work together in a single system to be maximally effective. This technology includes imaging (with LIDAR-enabled cameras for landscapes, and holographic radars for underground objects), ground-penetrating radar for object detection, robotics and field mobility assessments, real-time communication between different parts of the overall system, user databases that are populated in real-time with field data and which are accessible worldwide, wireless data transfer and communication between robots, sensors, users, and databases, and interfaces between users and the instrumentation. With rapid advances of commercial technology, the costs are reduced while reliability and capability are increased (these are important considerations since cost, ease of use, and reliability are important for the end users of the technology in typically poor and/or underdeveloped conflict zones). Real-world conditions also dictate that the technology be field-ready and simple to use in order to be practical as a tool. These developments and the requirements of the overall problem point to an integrated technology approach, dubbed Industry 4.0 in engineering and industry parlance, which represents a fourth technology revolution. In this paradigm, cyber and physical systems communicate, merge, and integrate into a single, connected, decentralized system that is simple, cheap, and reliable. The name we give to this integrated cyber-physical approach to the landmine problem is Landmine Detection 4.0. Our research group at F&M is working in tandem with colleagues from Italy and the Ukraine as a NATO-funded team to enhance existing and proven technology and the techniques that have been developed to address demining in the Ukraine conflict zone of Donbass. The existing work of this team has been successful in testing imaging techniques with holographic radars and with terrain analysis in the Ukraine conflict zone. The integration of these aspects of the system and others are beginning to get underway. LIDAR imaging and creation of digital elevation models (DEMs) for the terrain in the Ukraine conflict zone, and how the robot can use these for navigation and movement decisions. This is necessary because the terrain is generally uneven with lots of obstacles, which can block the robot or get it stuck in the minefield. In addition, acquiring accurate cm-scale real-time mapping of the ground in the vicinity of the robot is necessary to correct the holographic radar images for the non-planar ground-air interface through which the radar signal propagates. This requires accurate registration between the DEM of the terrain and the coordinate system of the holographic radar system. Assessing the impact of background signal subtration (arising from self-reflections from the robot) on the quality of the holographic radar images and target morphology. Investigating the possibility of tripwire detection (imaging of wires) using experiments with different infrared and visible cameras and with different wire configurations, wire types, and distances from the camera. Determining the feasibility of using publicly available algorithms for automatic wire detection and implementing these algorithms. Using actual Ukraine terrain data and DEM maps to assess robot maneuverability in the Ukraine mine fields. Determining the fraction of area that is suitable for the selected robot design and ensuring readiness for real-field conditions to maximize the usefulness of the robot by local operators. Assisting with the holographic ground-penetrating radar imaging correction work being led by the Italian group by conducting radar and camera detection scans in a soil test beds at F&M under different field assumptions (underground target configuration, shape, size, and depth, background material type, scanning angle, and distance to target). 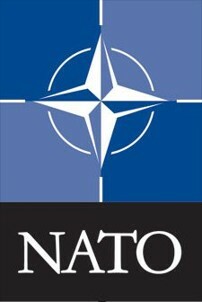 This work has been funded in part by the NATO Science for Peace and Security Programme under Project G5014, titled "Holographic and Impulse Subsurface Radar for Landmine and IED Detection"